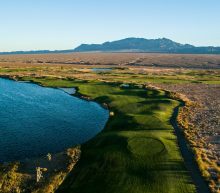 MESQUITE, Nev. (July 6, 2017)–This one’s simple: Pack one bag, grab your clubs and hit the road for an overnight getaway to take on two of the most scenic–and most challenging–layouts you’ll see anywhere. 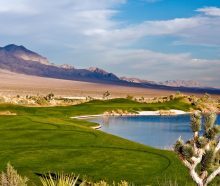 An hour north of Las Vegas in Mesquite are Wolf Creek Golf Club and Falcon Ridge Golf Course, two layouts that are extreme roller coaster rides from start to finish. — By Bill Bowman. From severely elevated tee boxes to deep-blue water features and brilliant white-sand bunkers to a shot-makers paradise, these two courses check all the boxes when players are looking for that must-play course. 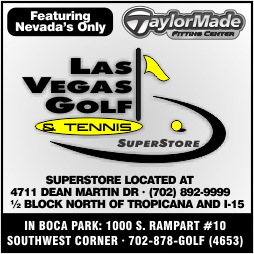 The new Club at Sunrise is managed by KemperSports, a national company, and courses under their leadership are featuring Player Development Month throughout June and that includes the local venue. Club at Sunrise, formerly Desert Rose, is back to being a local favorite and the month’s festivities include free 15-minute golf lessons, clinics, a Tee it Up Range program and special weekly golf deals. 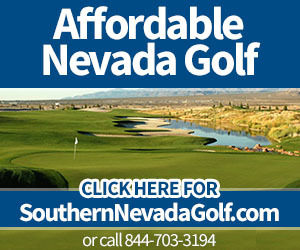 Check out all of the information at the course’s official website, ClubatSunrise.com. 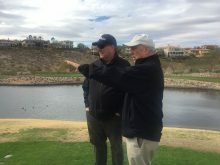 The inaugural celebration, which started in 2014, saw more than 3,500 interactions with new golfers at more than 125 KemperSports courses across the country. 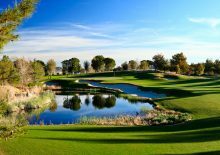 LAS VEGAS, Nev. (April 19, 2017)–Golf course architect Rees Jones has made an impact on golf courses around the world…including Las Vegas where his Rio Secco and Cascata designs garner national accolades every year. Well, be prepared for a redesigned Rio Secco as Jones will be giving the course a little facelift. So players now have about a month to take on the course before the changes get under way. — By Bill Bowman. Rio Secco first opened its doors in 1997. Now, 20 years later, it’s time to spruce things up. And Jones is more than happy to lead the project.